The apartment can accommodate 2-6 people. The apartment includes a fully equipped kitchen and dining room and 2 bedrooms with shower / WC. You are welcome to our service benefit (In winter breakfast 10,00EUR or with cooperation with Gasthof Hubertus next ahn 26.00 EUR per person, breakfast rolls). For the small and big kids we have a small playground with a cozy patio and table tennis table football room. In winter you are welcome to use our sauna or infrared cabin. Feel free to also use large lounge with satellite TV. 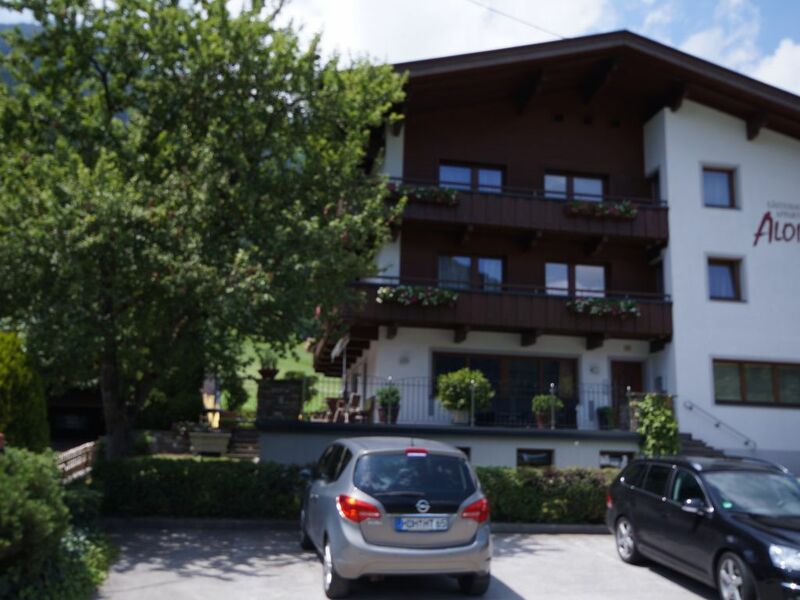 Our house is situated in a sunny location in the middle of the Ziller Valley and now the most famous ski resorts of the Zillertal. The starting point for cycling and hiking and ski and village are right outside the house. Sommerrodelbahn (Arenacuster) tobogganing, swimming pools, mini-golf, via ferrata Geerlosstein or Mayrhofen, indoor Mayrhof and Terme joining, lifts, approximately in 5-10 minutes by bike or car. To the Hintertux glaciers about 20 minutes driving time. Ski: the bus stop and the famous ski resort Penken Horberg, Zillertal Arena, Sonnenalm and Dörferbuß located directly in front of the house. Kurtaxe in Höhe von EUR 2,20 pro Person/Übernachtung ist im Preis nicht inkludiert.